The House of Queens love Steamed Pork Buns. We love it so much that we named one of our dogs after it's Chinese name ( Char Siew Pao ). This is why we try all the variations that we can find of this great Chinese delicacy. 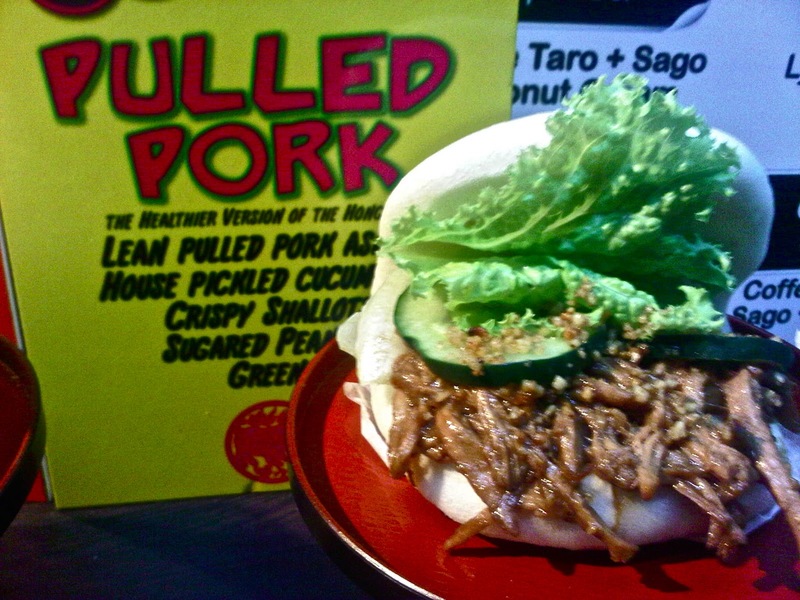 Last Friday, when we had our lunch at Mercato Centrale - we spotted Ka-Pao. 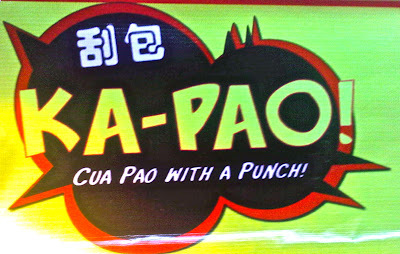 The big yellow signs says that it's Cua Pao with a Punch. We quickly beelined towards the stall and found interesting flavors for the Cua Pao. The first variety is the Classic Hong Ba. You can see pork belly with the usual Chinese Spices and flavoring. You have the option of adding garlic, soy sauce and hot sauce. I opted for adding garlic to my order. I highly recommend this variety. The next option that you an have is the Monk's Choice. This is the vegetarian filling. 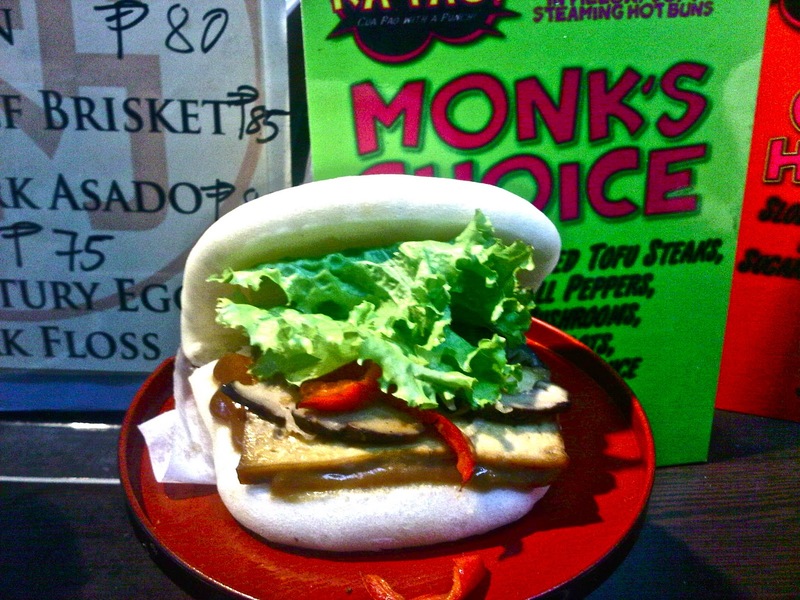 It's definitely a smart choice for the makers of Ka-Pao to offer vegetarian filling since the vegan and vegetarian population in the Philippines is starting to grow. I'm not vegetarian - so I skipped this for now. The best seller - according to the owner is their pulled pork variety. 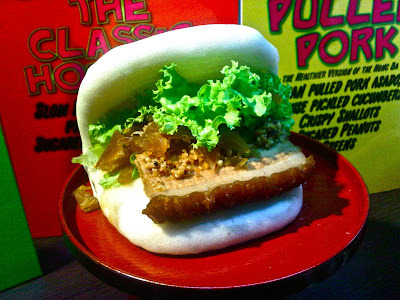 This is asado flavored pork. I didn't care much for this one. I can understand why it is the best seller - it does fit the Filipino flavor of sweet pork. There are other options that we were not able to photograph. The third bun we ordered is Hairy Pork with Spanish Sausage. Don't worry about the name - this is actually like Pork Floss ( I know - Americans reading this might say Floss is not better than Hair ). It's basically pork cooked and minced into very thin strings. This is my favorite of the lot. I like the fact that every time I go to Mercato Centrale, I discover something new. I wonder what I will discover the next time I visit.